Internal thread for 43mm filters, filter mount rotates while focusing. Hong Kong, China (Feburary 25, 2017) - SLR Magic expands the micro four thirds lens lineup with the new SLR Magic 8mm F4 ultra wide angle lens. The product will be officially introduced during upcoming BVE 2017 fair in Excel London. The field of view corresponds to a 16mm lens in 35mm format and this fast wide angle of view opens up many new creative composition opportunities, particularly in the fields of interior, architectural and landscape cinematography and photography. Additionally, light weight and compact size of the SLR Magic 8mm F4 ideal for aerial photography as well as multi-camera setup 360 VR. We place our highest priority in the development on our lenses to fulfill the demands of professional cinematographers and photographers. 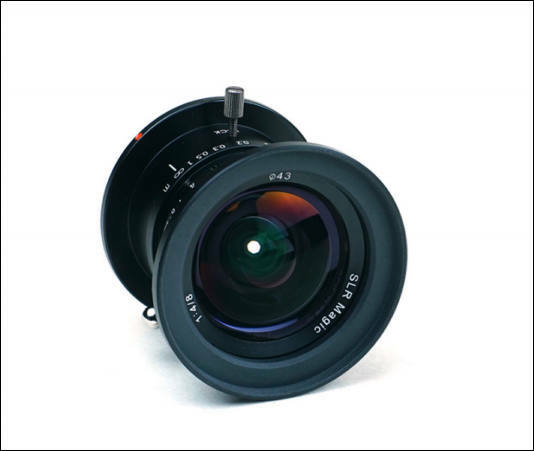 The design and build of the SLR Magic 8mm F4 is solid and reliable. The SLR Magic 8mm F4 (MSRP: $349 US) will be available from authorized SLR Magic dealers starting March 2017. The SLR Magic 8mm F4 will be first presented at the BVE 2017 show. The SLR Magic stand would be in (S1-8 G30 Holdan Ltd.) during the BVE show which are to be held in Excel London from Feburary 28th to March 2nd 2017. Send an email to support@slrmagic.com with the subject "SLR Magic 8mm F4 volunteer". Include sample videos/photos or link to photo/video reviews you have done in the past. Interesting! Im wonder what that means if you actually want to walk around :) "This is not a lens that is designed to be manually focussed on the go. Instead it is designed to be preset at a distance and left"
I made some image samples with this lens. Impressive! Any other thoughts about it in terms of build quality, focus ring, aperture ring, focus throw, etc? This lens on a G7 seems like it would be such an awesome cheap set up for 360VR, anyone tried this? $169 now, at B&H (through Jan 1).